Simply sweet small SET of Easter hair clips! Clips can be used to hold back bangs or small amounts of hair around pony tails or one of the many other options! 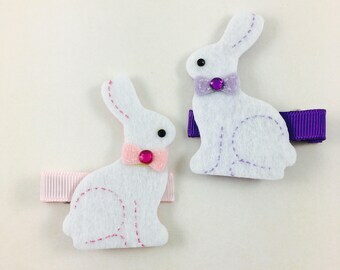 This set includes 2 Easter Bunny hair clips. 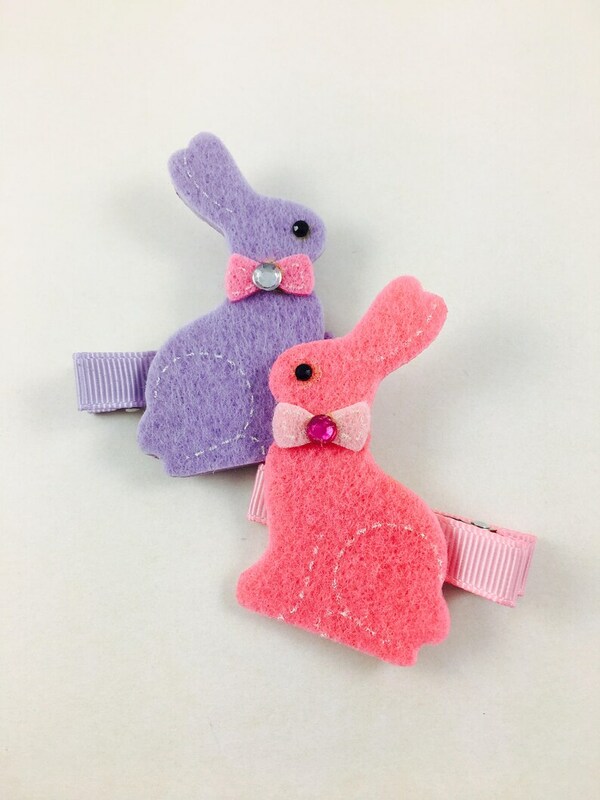 You will get one lavender bunny clip with pink accents and one hot pink bunny clip with pink accents. Embellishments are made from felt and are attached to partially lined alligator clips. All ribbon ends have been heat sealed to prevent fraying. Need a headband to attach these hair clips to? Check out my other listings for headband options! This hair bow can be easily attached to any of my woven headbands. Simply open clip and slide into woven part of headband! Don't see the headband you were looking for? Message me and I can make/list a custom item for you!